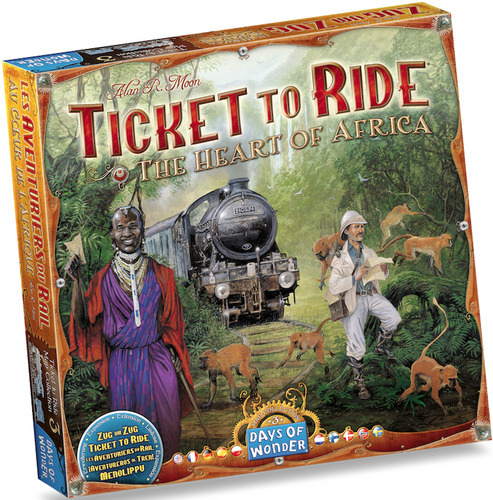 Days Of Wonder Announces a New Map Pack—Africa! 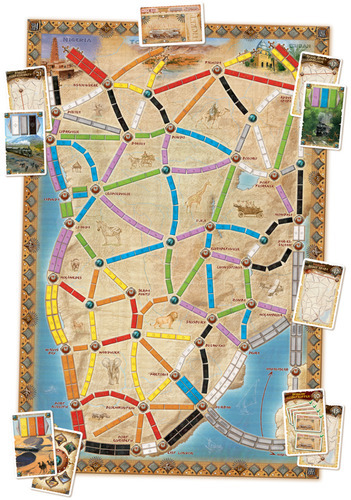 The immensely popular Ticket To Ride is getting a new map pack—The Heart of Africa. This one will only have one side (which seems like a wasted opportunity to me), and you’ll have to have a copy of either Ticket To Ride or Ticket To Ride: Europe to play it. This expansion introduces 45 new terrain cards, divided into three different terrain types. Each type is associated with different route colors: Desert/Savanna cards for yellow, orange and red routes; Jungle/Forest cards for green, blue and purple routes; and Mountain/Cliff cards for black, white and grey Routes. Players can draw terrain cards just like train cards and they may use these to double the value of the routes they claim, under certain conditions. Days Of Wonder expects this to be available in early December—so in plenty of time for Christmas presents. The game retails for $25, and you can preorder directly from Days Of Wonder here. Thanks for reading!